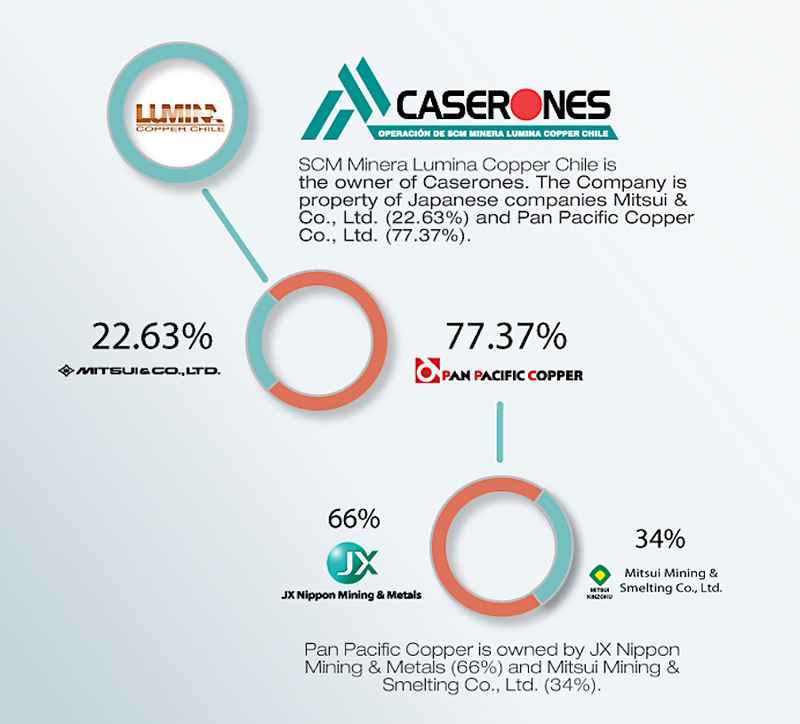 Chile’s Caserones copper operation, majority-owned by Japan's top smelter, JX Nippon Mining & Metals, in conjunction with fellow miner Mitsui Mining & Smelting Co., and in which Mitsui Co. has a 22.63%-stake, continues to be a source of pain for the companies, as they struggle to bring it to full capacity and meet profit targets. The mine, behind schedule ever since it began producing in May 2014, not only has been affected by a series of technical problems in its ramp-up phase, but it has also cost the Japanese miners hefty impairment charges. JX Nippon Mining, the metal unit of JXTG Holdings, which has a 51.5% stake in Caserones, posted last month a 128.6 billion yen-charge (about $1.2bn at today’s rate) for the mine in the financial year to March 31, which brought its total impairment loss on the operation to 276.9 billion yen. The mine, behind schedule ever since it began producing in May 2014, has been affected by a series of technical problems in its ramp-up phase, costing its owners hefty impairment charges. Japanese trading house Mitsui & Co, in turn, posted Wednesday its first loss since it was established in 1947, following a series of one-time impairment charges, the largest of which came from its interests in the Northern Chile-based copper mine. Despite the challenges, JXTG’s Senior Vice President Katsuyuki Ota said Friday it expected Caserones to turn profitable in the second half of the current financial year and anticipated a total output of about 110,000 tonnes of copper concentrate, up from 91,000 tonnes it produced in fiscal 2017. 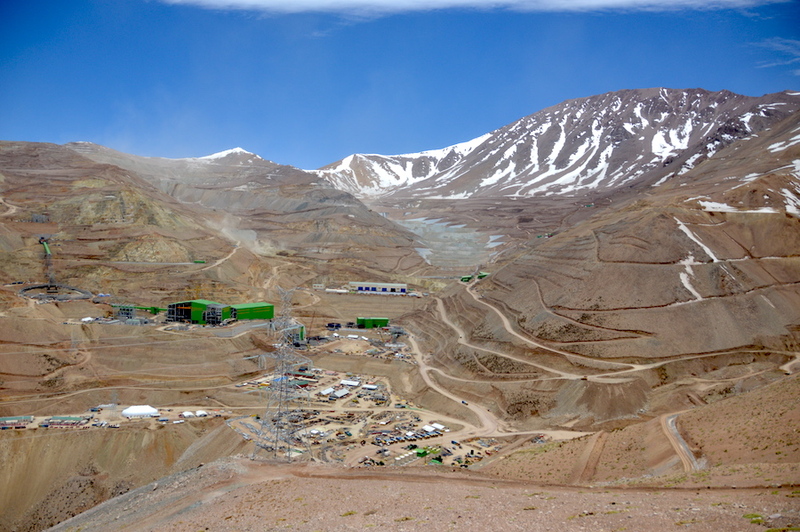 The expected annual production still falls short of the 150,000 tonnes target intended when the company started construction of the mine, operated by Minera Lumina Copper Chile (MLCC), which in 2015 had to pay $11.9 million for a number of infractions. The charges included failure to implement mitigation measures to prevent the contamination of underground water supplies, and the construction of unauthorized transmission lines. At the time, the penalty was the second-highest fine Chile’s environmental regulator SMA had imposed since it was set up in 2012. The problems at the mine, located at an altitude of 4,200m to 4,600m above sea-level, close to the border with Argentina, highlight the challenges facing miners in the country as they dig deeper to extract copper or scrabble through remote locations, as more accessible deposits have largely been tapped out.